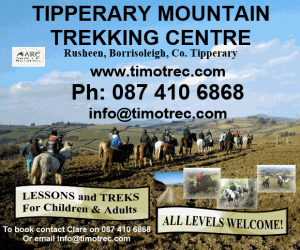 You are here: Home / Business / Tipperary Collaborates…. This blogpost is a collaboration inspired by collaborators. Tipperary Food Producers produced an exciting event that showcased their work in Clonmel Park Hotel on Wednesday 10 November 2010. Afterwards the Twitter Panel collaborated to publish this blogpost. We hope you love it & the great work of the Tipperary Food Producers Network. For anyone interested in local food, the Clonmel Park Hotel was the place to be last Wednesday night for the Tipperary Food Producers Christmas Extravaganza. It turned out to be a fun evening with things to taste, things to eat and plenty of artisan products to buy. The food demonstration went really well with Bord Bia’s Sile Kelly rustling up tasty and quick family meals that anyone could conjure over Christmas without having to spend hours in the kitchen. Bord Bia is very aware of the budgetary implications for everyone these days and so it was no surprise that all the dishes prepared were very economical. Sarah Baker from Cloughjordan Cookery School was a huge hit when she prepared a fantastic black pudding and bacon salad that could be used as a starter or a main course. Obviously all the ingredients were local; Inch House black pudding and Crowe’s farm bacon. For me one of the highlights of the evening was the presence of Jane Boyce, Master of Wine. Thanks to Gary Gubbins of Red Nose Wine there was huge added value to the evening as Jane matched each dish prepared with an appropriate wine. She gave tips and hints and all in a very accessible and down to earth way particularly for the not so experienced. A very warm and unassuming lady from County Down, Jane blended in seamlessly to the line up at the Clonmel Park. She is highly experienced and her work with wine has taken her all over the world. These days she has the luxury of working as an independent Wine Consultant and freelance wine writer. There are only four qualified wine masters in the whole of Ireland and Jane is the only female to boot. Her experience as a wine judge is wide ranging. She has been key judge and adjudicator for the Irish Wine Show for the past two years and last year was on the Burgundy and Austrian panels for London’s The Decanter World Wine Awards. Her international judging experience spans the globe including South Africa, France and as far away as Australia. One of the most basic tips for food matching she gave on the night, and one which makes a great deal of sense, is to initially match the country of origin of the dish to the wine. For example if you are having Italian food then an Italian wine might be a good choice. Equally if it is a warming winter dish then it naturally goes better with a full bodied wine rather than a light crisp summery one. Jane was also keen to point out the difference between cost and value. She made the good point that by staying with the smaller vineyards and spending just a few euro more you are exponentially increasing the quality of wine you are buying when you take into account the duty, the bottling and transportation costs. Whether you were at the event or not, Gary Gubbins of Red Nose Wines in Clonmel would be very helpful if you need advice. All the canapés on the evening were prepared using Tipperary Food. There was a feast of treats created with imagination and the producers acted as waiters for the night. It was lovely to hear people chatting to the people who actually created the food; a rare thing these days to be that close to the source. Indeed, some of the people at the event had travelled further than much of the food. The idea was to show just what you could do for impressive nibbles over the festive season. I was sure I would have a favourite but as I tasted each one I chopped and changed my hit list as the various flavours danced along my taste buds. I was in heaven as the smoky taste of Crowe’s Bacon was matched with Daru Cheddar from Cooleeney Cheese to create a little quiche tartlet. Then I compared it to the Cashel blue cheese and red onion tartlets and couldn’t quite make up my mind. Una O’Dwyer’s cold sausage on savoury crackers with Crossogue relish was a heady, sticky revelation. There were bruschetta selections using roasted peppers, chargrilled courgettes, cheese selections and chargrilled mushrooms creating a wonderful synergy between Munster Mushrooms, Hickey’s Bakery and Cooleeney Cheese. O’Briens Farm Shop teamed up with Inch House and together came up with potato rosti topped with horseradish mayo and black pudding; sublime. For my contribution I used a fillet of medium rare beef on little blinis with rocket and shaved parmesan which I considered to be quite the triumph until I swallowed the delectable delights of Mags Bergin’s brown bread simply topped with my chicken liver pate and Crossogue sweet red pepper relish. It was like looking at a family of children and having to choose just one. In the end I gave up and decided that they all had something to offer and while I loved individual characteristics, I had equal affection for all. Thankfully the canapés took the edge off my hunger before the demonstration began and then it was back for dessert and coffee. If the tastes from the canapés were exciting the climax came with dessert; tiramisu shots made with Ponaire Coffee and mascarpone cheese from the Tipperary cheese company and Karmine apple jelly shots with fresh raspberries. The Apple Farm provided the ingredients for Pear and almond tarts along with hopping into bed with the Cookie Jar for Panna cotta, strawberries and chocolate chip cookies. Had I died after a Cookie Jar confection on Wednesday night I would have died a happy man! The Lemon curd and meringue tartlets were a huge hit and the Brownies from the Cookie Jar, topped with a blueberry curd were outstanding. Crossogue preserves are standing tall these days. Looking at all the stands and all the people who supported the event it made me really proud to be from Tipperary. We have fantastic producers doing a brilliant job but we also have some really loyal customers who, at the end of the day, are the reason we do it. I may have been labelled a ’social media whore’ by certain people, but I will admit that while I wholeheartedly embrace Facebook I lingered in the ‘tweetlight’ for a long time. But no longer. I am now a fully paid member of the Twitter community – I have made new friends; sourced suppliers: attended ‘twinnerparties’: participated in cookalongs and even lost weight on a ‘twiet’! And all this must not have gone unnoticed as recently I was invited to take part in Ireland’s first Food Twitter Panel by the powerhouse that is Pat Whelan. Hence on a wet and windy wednesday night in November instead of curling up in front of the fire I made my way to the Clonmel Park Hotel to meet my fellow twitterers. Our task – to tell the world about the amazing Tipperary Food Producers Extravaganza. Our assigned minder, Robert Harris, led us into a small, secret room behind the bar for coffee and sandwiches(I wanted to be in the foyer for the wine and mouth watering canapés!). Once we had identified each other by our twitter names it was time to wander through the avenue of food to meet the producers including Inch House Black Pudding, Crowe’s Farm, Cooleeneey Cheese, The Scullery, The Cookie Jar, Crossogue Preserves and The Apple Farm…my apologies to anyone I haven’t listed. Then Robert showed us to our table and we were off! You have never seen such frantic finger action – we told the twitterverse about Sheila Kelly’s beef chilli, Sarah Baker’s black pudding & bacon salad, Alistair’s choice of meat cut, Jane Boyce’s wine choice, Nichola Beresford’s entertaining ‘MC-ing’ and Pat Whelan’s empassioned pleas to support local food producers…… Phew! We were matched in our efforts by the TY students on #foodconnect program who are spending time with the various producers learning where and how the food is produced. And then all of a sudden it was over! 400 people came to the event and between the panel I imagine at least 4,000 attended it virtually. My only complaint – I never got to see, never mind taste, the dessert canapés! If you haven’t entered the Twitterverse – do! I love artisan food producers and am very happy to share that passion with anyone who will listen over on www.biabeag.com. On my recent outing to the brilliant night organised by Tipperary Food Producers I decided to take a back seat and (for my first time) shoot some short video interviews with a couple of the producers and with Gary Gubbins, one of the active members of the group. Thanks to each of them for being so facilitating. It was all about buying local at last night’s Tipperary Food Producers Cookery Extravaganza in Clonmel. Tipperary produce – local cheese, preserves, meat and fruit – was used for the elegant nibbles on offer at the start of the night, during the cookery demonstrations and for the rapidly hoovered up deserts which finished off the evening. I was there as a member of the 11-strong Twitter panel, along with @goatsbridge, @HeyPestoie, @KeithBohanna, @Omaniblog, @RogerOverall, @BrianPCleary, @QueenofPots, @AnyGivenFood @ClonmelInfo and @DerryO. 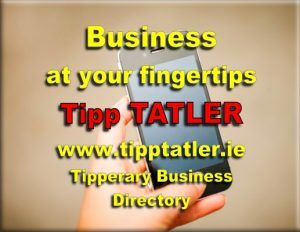 We had a great time, down the back of the room with nothing to do but watch, listen and tweet (find us at #TippFood). Normally tweeting at the cottage is squeezed in between radio editing, article writing, pot stirring and toddler watching so it felt like a total luxury to have a couple of hours devoted to it, just me, my netbook, my fellow panel members (plus many iPhones!) and a 500-strong crowd of Tipperary food lovers. For me, the best part of the night was a chance to chat with and buy from the Tipperary food producers that were showcasing their wares. After all the demonstration and tweeting ended, I got a chance to pick up sausages from Crowe’s Farm, along with advice from John Paul on hanging and cooking my Bronze turkeys, a cute little box of Raspberry Streusel from The Cookie Jar, one of Nuala Hickey’s award-winning barm bracks now scenting the whole kitchen with fruit and spice, a chunk of the fantastic Inch House black pudding and a couple of cheeses from Cooleeney. I picked up Gortnamona, a soft goats’ cheese, to go with a tomorrow night’s warm lentil and roast pumpkin salad but couldn’t resist a wee Cooleeney, a Camembert-style cheese, for baking whole as a weekend treat. Well done to the Tipperary Food Producers Network for putting such a great event together and thanks to Pat Whelan (check out his book here) at James Whelan Butchers for the invitation to participate. What a night was had on November 10th in the Clonmel Park Hotel. Nearly 500 food ( and wine ) lovers descended on Tipperary in a great show of support for local food and local business. Myself and Con Traas of the Apple Farm could not pour the wine and juices quickly enough as the crowds were three deep at the bar. Jane Boyce MW and Pat Whelan discuss wines to go with Pat’s recipes. The whole night was a great success and I was delighted to have someone like Jane Boyce MW matching artisan wines to artisan food. There are only 4 Masters of Wine in Ireland so it was a real coup to be able to convince her to travel from the North. She has a real warmth when she speaks about wine and does not talk down to her audience. The comments I received about her were all very positive and a number of people want me to do a dedicated wine night with Jane in the future. I remember being at a Tipperary Food Producers meeting last year and I tried to explain Twitter to the group and the power of social networking. I am not sure everyone took me too seriously but Pat Whelan was definitely listening and he now has double my number of followers. He had the great idea to invite a panel of Twitter folk ( Twitterati ) and bloggers to cover the event. They sat alongside the Transition Year students participating in the Food Connect program and the hashtag #tippfood was a buzzing as the night went on. The Tipperary Food Producers were genuinely humbled by the support from the public and we hope to build and improve on this going forward. Thanks to the Bloggers and Twitterati for their hard work. On the 10th of November last the Tipperary Food Producers’ Network, in association with An Bord Bia, provided an evening of artisan food displays, tastings and cookery demonstrations at the Clonmel Park Hotel. I was lucky enough to receive an invitation to form a Twitter panel with several others on the evening, an offer I couldn’t resist having a genuine interest in local products, especially those of the edible variety. The crowd that turned up on the evening, despite the bad weather, was phenomenal. About 500 people gathered in the hotel lobby, shortly before the event commenced, where wine was supplied by local wine specialist Gary Gubbins of Red Nose Wines. From there they filtered through a hallway lined with food stalls where a variety of producers offered samples of breads, meats, icecream, cake, sauces, in fact, every type of food you could think of. Once the enthusiast foodies had satisfied their curiosity, it was into the function room for the cookery demonstrations. The kitchen set up was impressive. At the top of the room a cooking area had been laid out with a huge mirror overhead that gave everyone a great view of the worktop area. Two big screens were arranged at either side of the cooking area that meant no one missed out on the events of the evening. Our Twitter panel sat at the back of the room and were able to view everything perfectly and, despite the chattering that usually goes on at the rear of any hall, we had no problems hearing what was going on at the top. Nicola Beresford was our hostess and compere for the evening. She introduced the chefs and did a marvellous job of keeping us informed on the various dishes that were being cooked up, and in keeping the evening flowing. Throughout the evening, our mouths watered as the smells and aromas of freshly cooked meat, veg, herbs and spices wafted around the room. Sheila Kelly from Bord Bia cooked up four different dishes, including Mexican Chilli Beef with Avocado dressing and spicy red pepper salsa, and Stir Fried Pork with Gingered Noodles, both of which I sampled afterwards and was very impressed with. Sarah Baker (@sarahbakercooks) prepared Inch House Black Pudding tart tatin using Con Traas apples, served up with a relish from The Scullery. Jane Boyce, one of four Masters of Wine in Ireland gave recommendations on wine to go with each dish. Pat Whelan (of James Whelan Butchers in Clonmel), the Chairman of the Tipperary Food Producers’ Network, spoke about the Food Connect programme that links transition year students in eleven schools across North and South Tipperary with food producers in the community. Some of the students, many of whom tweeted from the hotel that evening, were followed by RTE’s ‘Ear to the Ground’ for the week, as they worked with various producers and gained a valuable insight into business operations. Ear to the Ground also filmed the Cookery Extravaganza and we can look forward to seeing coverage on our screens very soon. It’s not often that you have something to look forward to in November. Generally it’s batten down the hatches and hold tight for Christmas. However, this year was different. Last Wednesday, 10th November, The Tipperary Food Producers held a Christmas Cooking Extravaganza in The Clonmel Park Hotel, Clonmel. The weeks leading up to it were filled with anticipation. I was receiving press releases about the event and Twitter was alive with talk amongst foodies and folk living in Tipperary. About a week or so before the night I received an invite from Pat Whelan of James Whelan Butchers to participate in a Twitter Panel whose job it was to tweet about the event on the night. Wow, I thought to myself, generally twitter distracts me from my job. At this, tweeting IS my job. I’ve often been at events or occasions where a number of people and I have tweeted about what was going on at the time. But this was something new to me. This was an organised panel. And I mean organised. A room off the main bar was reserved for us. We were given tea, coffee and sandwiches before the main event. A table in the main hall was reserved for us. It had a sign on it ‘Twitter Panel’. Our usernames were printed on the sign! It was like being in a press box and I guess that’s what it was. But rather than journalists scribbling furiously into notebooks we were all tapping away on our laptops and iphones delivering live commentary to countless people. It wasn’t just written messages either. Photographs, video and audio were also being shared out to the World. ‘Tipperary’ and the hashtag #tippfood became trending topics on Twitter. I doubt there was a single person from Ireland on Twitter that night who wasn’t aware that a group of some of the finest food producers from Co. Tipperary had something cooking. I was also pleasantly surprised and bemused to discover some transition year students from my old school St Josephs College, Borrisoleigh were also on the panel. They were part of the Food Connect Program run in conjunction with the Tipperary Food Producers. How times have changed, I thought. There were no mobile phones back in my school days, let alone Twitter. The event itself was very professionally organised. Locally produced juices and wine were available in the hotel lobby on arrival. Trays of delicious canapés containing mouth watering samples of some of the food producers products were passed around. Members of the Tipperary Food Producers had stalls along the walls of the corridor leading up to the main hall. You could chat with the owners, sample their produce and buy some to take home. The main hall had a fantastic set up. A large screen beside the stage showing what was happening on stage ensured no one missed a thing. Bord Bia Chef Sheila Kelly began the cookery demonstration. Equipped with a radio microphone and excellent amplification every member of the audience could also clearly hear her instructions. A mirror overhead the worktop angled to face the audience meant you could see every slice and dice. Jane Boyce a Master of Wine also provided some insightful snippets during the night. Cooking demonstrations were also provided by Sarah Baker of Cloughjordan Cookery School and Pat Whelan of James Whelan Butchers. Outside in corridor it was great to get a chance to have a quick chat with some of the Tipperary Food Producers. Veronica Molloy of Crossogue Preserves had a wonderful display of jams and chutneys. Crossogue Preserves was the overall winner of the 2009 National Enterprise Awards County Competition. I was speaking to Mags Bergin of Mags Home Baking when it transpired that we have spoken on the phone several times over the years but had never met before. This was due to her husband Pat, who runs a successful picture framing business in Nenagh. A slice of her bread with some Cooleeney cheese is simply divine. It was truly wonderful to be part of such a positive night. A dark November night that brought a capacity crowd of around 500 people to celebrate what Tipperary has to offer. I spent an absolutely fantastic evening g at the Food Extravaganza in Clonmel last week. As you can see from the panel (photo above) I was in very good company indeed. The idea was very novel and I think it was a great way to communicate to the outside world the great work being done in Tipperary to promote the local artisan food movement. From my point of view I think it was a good opportunity to meet some of the food producers I have learned to admire over the last few years and I also think it is very important to share ideas and hopefully work closely with them in the future. Hats off to all involved but make no mistake we in Kilkenny will be back next year for the all-Ireland hurling final. They have started on their diet of trout already!! I have just attended the Christmas Food Extravaganza at the Clonmel Park Hotel and I must say it was a pleasure to be there. The Stalls went all the way to the ballroom where the cookery display was been held by Sheila Kelly of Bord Bia and Sarah Baker of The Sarah Baker Cookery School. To add to this fine presentation was Jane Boyce Master of Wines offering her tips on which wines would go well with certain foods. A special well done to the hostess on the night Nicola Beresford who asked the questions most of us were thinking and offered her tips and opinions during the course of the evening. Overall the night was fantastic, it is great to see such variety of food and more to the point sourced right here in Tipperary. The quality of cooking was, let just say mouthwatering and leave it at that. Congratulations to Pat Whelan and all at Tipperary Food Producers for organising the event, may it be the first of many. There I was, sitting at the back of a hall filled with 500 people, mostly housewives it seemed to me, watching cookery demonstrations at the “Food Extravaganza” organized by the Tipperary Food Producers Network. I was in one of the special seats, those reserved for the select few: the twitterati who had been invited to tweet live from the event. Why would I travel over an hour on a wet Tuesday evening to tweet for several hours about a food event in Clonmel without any obvious compensation? Sure, it was an ego-massage to be invited, but did I seriously have nothing better to do with my evening than bother my twitter followers with a string of tweets about a food event? The short answer is: relationships. My dream assignment would be to document a year in the life of a vineyard. I’m not overly fussy where the vineyard is located, though France would be preferable. Bordeaux would be nice. The Loire valley acceptable. Honestly, though, I wouldn’t turn anyone down as long as they were good people. That’s still some distance from a wet Tuesday in Clonmel, but bear with me. Wine is part of a wider interest of mine. Food and drink. I’m not a foodie per se. I talk a good game, but I simply don’t have the time to satisfy my interest in the kitchen or at the tables of Co. Cork’s great food outlets. Nevertheless, I can say this: I have rarely been happier than when I’m photographing passionate food producers. I enjoy their company, their stories, their insights, their enthusiasm. I’ve been very fortunate to have photographed with several superb food producers in Ireland: Burren Smokehouse, Ummera, Ardsallagh Goats Cheese, O’Keeffe’s Bakery, Old Mill Confectionary, Follain to name a few that come readily to mind. Being asked to attend a Tipperary food event was like waving catnip in front of a kitten. It would bring me into a new sphere of food producers. Who knew what relationships I might strike up? Besides, the timing was perfect. I’m on a mission to expand my food portfolio. To this end, I’m selecting food producers to shoot personal projects with. Each one will result in a book. Once I have a series of these books, I’ll start approaching the big names in the business. The names you know. But first I need subjects to photograph for the portfolio books. Well, I have arranged to explore the possibility of a documentary project with Pat Whelan, a truly visionary butcher. He is an interesting man and he has a story to tell. I would not have had the chance to meet him had I not agreed to tweet about the Tipp “Food Extravaganza”. Additional benefits? It flushed out the foodies among my own followers on Twitter, providing us with yet another basis on which to deepen our relationships. And I met a whole new group of interesting tweeters to follow. Besides, there was some very tasty food on offer. It was a flattering surprise to get an invite from Pat Whelan. I hadn’t a clue who he was, his business, reputation, connections… anything. But the fact that a stranger took the trouble to invite me to an intriguing event in Clonmel whetted my appitite. The thing that turned me on most of all was the link between food producers of Tipperary & the coming generation. Young people learning about food production, food presentation & the marketing of Tipperary thru new media was the clincher for me. It pushed all my buttons. I did all due diligence: found out lots about the butcher-on-line. It was great that I already knew Susan Cloonan (@queenofpots). But it was wonderful to find myself in the companyof so many new people who are so active on social media. Yes – the heroes of the event were Tipperary Food Producers Network. The buzz they attracted was marvellous. But without the connection to the Transition Year students from St Joseph’s College (@st_joes_college) I wouldn’t have been half as excited. Irish people (British too) love audio. The angle I hit on was to make a series of AudioBoos before, during & after the event – as a sort of campaign to spread the buzz. You can listen to the complete set of recordings below. Collaborating is the name of the game? Tipperary Food Producers collaborated. Students collaborated. We collaborated. Pat Whelan went out of his own business to build links with others in many directions. We have practised the skill of collaborating. Why? Because it’s fun, intelligent, necessary… Because it’s stupid not to. The art of collaborating is a sacred ritual – part of the most ancient art animals have evolved. We humans live in the forcefield created by dual polarities: self & social. I could indulge myself by launching into a tirade against the lack of collaborating skill I’ve experienced in various places. But Tipperary people collaborated well. I feel encouraged by their example. It was great fun. In my business fun matters. My aim is to help others make a living while enjoying the process. This experience has reinforced my hope that this is the best way. The anthem “Thank you Pat” is right.